When you start up a café you need to think about the structure of the business as well as the health and safety requirements of the food service industry. To begin with you need to determine the type of business you need to set up. What type of business? Sole trader – which means you’ll be self-employed. Being a sole trader is fast, easy and inexpensive to set up. As a sole trader you can employ staff and you are the only person in the business who will make your business decisions. The financial responsibility of any debt associated with the business, if it fails, becomes your personal responsibility. You don’t pay tax and National insurance as PAYE (pay as your earn) and your expenses are tax-deductible meaning the remaining profit is taxed as income. Your earnings are taxable at the current rate of tax for the earning band that you reach which can take you into the 40% tax bracket and above. You’ll also have to complete self-assessment forms. The biggest risk of being a sole trader is the personal liability if the business fails and the exposure to higher levels of taxation. Partnership – where you are in business with another person or more than one person. This is a common extension of the sole trader model, for example, when two friends decide to work together. The partnership is just as flexible, has the benefit of two or more heads, and the business won’t collapse if one of you is sick or needs a holiday. There has to be an agreement as to how the liabilities, ownership and profits of the business are split and what happens if one partner wants to leave, it’s is usual to cover this in a partnership agreement. The only legal requirement is that each partner is registered as self-employed and each submits a separate tax return. In a standard partnership all partners are responsible for all the debts owed by the business. This doesn’t only apply to debts you have incurred as a partner but to those of any partner, so you need to pay particular care to the conduct of the people you go into business with. Your share of the profits will be taxed as income. Limited company – the biggest advantage of a limited company is that you can control your exposure to financial risk. Your limited company is a separate legal entity to you personally. If the business fails it is the limited company that is responsible, not you directly. This is called limited liability. Tax is calculated, first at the small profits corporation tax rate and your earnings (taxed as the personal rates of tax) are accounted as an overhead of the business, reducing the company’s tax liability. You will need to file statutory accounts and it’s a good idea to work with an accountant. If you want to have a limited company you need to register with Companies House. Limited liability partnership (LLP) – LLPs may be seen as a hybrid between limited liability companies and traditional partnerships, in that they offer the limited liability available to limited company shareholders combined with the tax regime and flexibility available to partnerships. The number of partners is not limited but at least two have to be ‘designated members’ responsible for filing annual accounts. 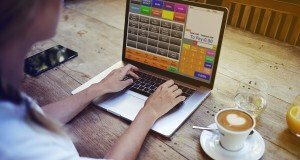 Do you need to consider VAT registration for a café? VAT stands for Value Added Tax. Businesses that are ‘VAT registered’ charge VAT on the goods and services they provide. If your business has a turnover (not just profit) above the ‘registration threshold’, (which changes from time to time) it must be VAT registered. Some businesses choose to register for VAT, even though their turnover is below the registration threshold. If your business is VAT registered, you will be able to reclaim the VAT you pay to suppliers. And you will also need to charge VAT on certain things. To find out more about VAT registration visit HM Revenue & Customs. Record keeping You must keep records of all your business income and expenses. This will help you to prepare your accounts and fill in your tax return. Having a record of all the money coming in and going out can also help you to run your business efficiently. An EPoS or PoS system can help you to do this and track your profitability. You must keep all records for at least five years from the latest date for sending back your tax return. If you would like advice about record keeping, contact HM Revenue & Customs or an accountant. You should also keep all the invoices and receipts for foods that you buy. Before you make any of these decisions it is advisable to discuss the options with a qualified accountant who will help you to arrive at the decision that is right for you. For more information on these regulations, see the ‘Food hygiene – a guide for businesses’ booklet or contact the environmental health service at your local authority. 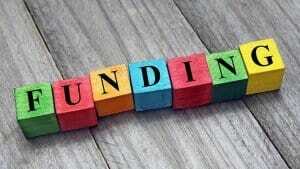 In your business plan you’ll work out how much money you need to start up your café. To meet these start up costs you may have to contact possible investors, family or friends, crowd funding, apply for loans or use your savings. If you are looking for funding it pays to shop around – the bank where you have your personal bank account might not be the best bank for business lending. You could also find help via an association like the Federation of Small Businesses. If you need to be really creative think about other options such as renting out your spare room, if you have one, to provide income to cover some of your costs. 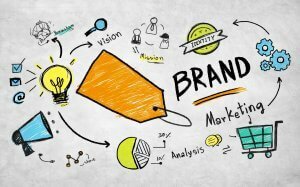 Branding can be a beast of a subject – it pays to get your logo produced professionally and if you’re having a website designed you might be able to get your logo designed by your web desig ners at the same time. When briefing a designer be sure to share with them your vision and philosophy of running your café, such as the décor, your menu style you typical customer. This will help to create an appealing style and colours that will work with your interiors. Your ultimate goal in developing your branding style is to create ‘one voice’ that is consistent across all of your promotional materials, through to your lunch menu and even the décor of your loos – yes they matter. Register your business If you are planning to start a new café or you’re taking over an existing café you must register your premises with the environmental health service at your local authority. Registration applies to most types of food business, including catering businesses run from home and mobile or temporary premises, such as stalls and vans. You should register your premises with the environmental health service at your local authority at least 28 days before opening – registration is free. If you have more than one premises, you will need to register all of them. You can register here. What you need to know before you buy anything: When budgets are tight, buying second hand or cheap can be appealing, but it’s risky and your equipment might not be legally acceptable. 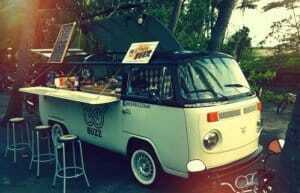 When you’re running a food van or trading at an event, your equipment is the most important thing that you own, be prepared to budget correctly and don’t think that you can get away with camping equipment, it just won’t work. How to avoid costly mistakes: Make sure that all gas equipment is CE marked and has a flame failure device. 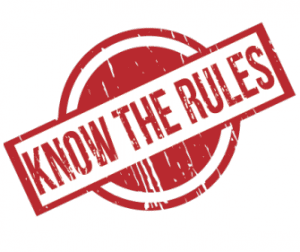 If it doesn’t have a CE label, don’t buy, no matter what the seller tells you, you won’t be able to obtain a gas safety certificate and you can’t trade without one. Many start up café owners are so excited about the prospect of having their own café they don’t think about how they will take money until the last minute. There are a number of options for you to consider. You can start out with a simple till. This will get you started but won’t help you to understand very much about your business and how its performing, from monitoring your stock levels to who has the best sales figures or understanding trends; like your busiest times, when you might need an extra pair of hands to help out. For a better understanding of your business you can download point of sale (PoS) software onto your own laptop or tablet. Take a look here and download a free trial for 3-months then start paying monthly if you want to continue using it. This option is all in the cloud so it’s safe and secure and gives you great reporting functionality to really see inside your business. You can look at the sales in real-time from any device, which is great if you leave someone else in charge while you take a break or when you have a day off. 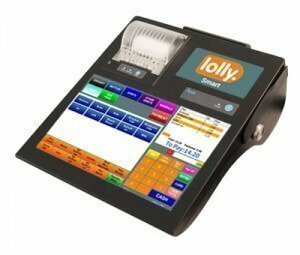 An electronic point of sale EPoS system usually comes with a till (hardware) and the PoS software already loaded up for you. There are compact smart EPoS solutions that will fit into small places or can be portable if you have an event outside and need to take payments where there is no power supply. Check out the EPoS options here. Card payments are essential and contactless is becoming more and more popular. Contactless allows you to serve customers faster and will help you to make more money during a busy lunchtime service. 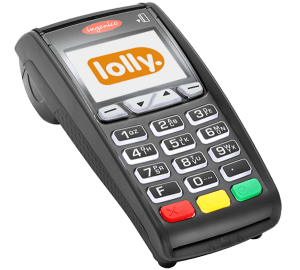 Check here There is a misconception that card payment machines are expensive, we can help with merchant set up– contact us to discuss your needs. Of course décor and ambience is important to the customer experience, but the key element that will keep customers coming back is the food and drink selection. Take time to develop a menu with maximum appeal. For a café in particular it is often better to keep the menu limited and seasonal, especially at first. 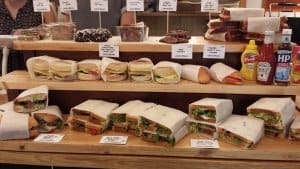 Focus on key items that are complimentary such as pastries and cakes that pair up with teas and coffee options, or soup and sandwiches. Make sure you are an expert on the items on your menu, whatever its size. Know where your produce comes from. 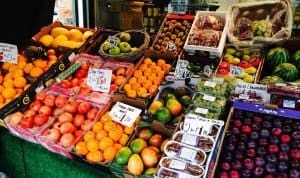 If you can show your personal connection to the food you are producing you’ll stand out from larger chains and other cafés. You need to build solid relationships with reliable suppliers who will consistently delivery to you on time. If you need to find suppliers outside of your local area check these directories: www.thecafelife.co.uk www.fairtrade.org.uk www.coffeecreations.co.uk The magazine The Caterer has a very useful directory: www.thecaterer.com Once you’ve selected your suppliers work to establish and maintain a good relationship with them, but don’t be afraid to switch to a new supplier to get a better price or service. If no one knows that you are going to be opening you won’t get the customers you need. Start spreading the word as soon as you’ve secured your premises. You can use press releases, finding a PR agent that will charge by the day will pay dividends here. You can use social media, word of mouth, posters, leaflets, advertise in your local press and host a launch event. 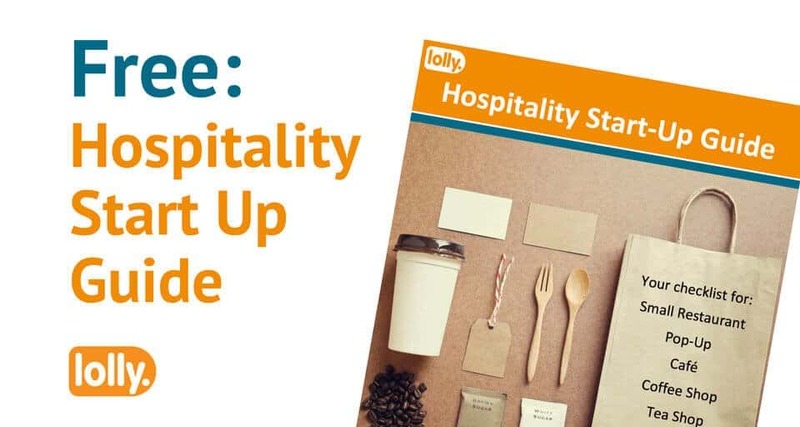 While you undertake all of this activity it is really important that you remain consistent with your branding and how you describe your café and what you’ll be offering. Your staff will be the greatest asset to your business, treat and look after them well and you will be repaid. Having reliable staff will make your life much easier than working with people who consistently let you down. When interviewing pay attention to personality, temperament and attitude. Have a list of questions prepared that will help you to determine how the person will behave in a given situation, such as, how would you handle a customer who becomes angry or obnoxious. Also ask for examples that are not necessarily related to the café. It is important that you know the law regarding hiring staff. Check with www.gov.uk for the laws for the United Kingdom. It is likely that you will have to provide some training – there are many useful resources available for training on-line that may be helpful to you and help you to save valuable time. Before you open for business you may want to have a ‘soft opening’ beforehand as a practice run to help you to iron out any hick ups. Invite a small group of guests, maybe just family and friends and run through the operation of your café to see what works and what doesn’t. 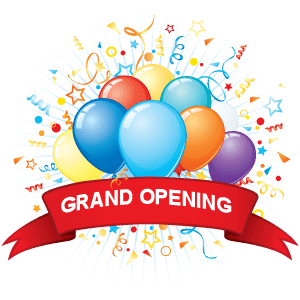 Make your grand opening as grand as you can with plenty of promotion, possibly some giveaways, balloons outside and ideas that will create attention and draw people in. You will definitely rely on repeat customers to thrive. Loyalty programmes will keep customers coming back to you, ideas such as stamping a card to get one free coffee with 10 stamps filled. Don’t have restrictions that make them difficult to fill and make asking for their card part of the service at the time to pay, rather than hoping your customer will forget about the card from time to time to make them buy more. If you have a PoS or EPoS solution there’s a good chance that it’ll have the capability to run loyalty programmes for you.